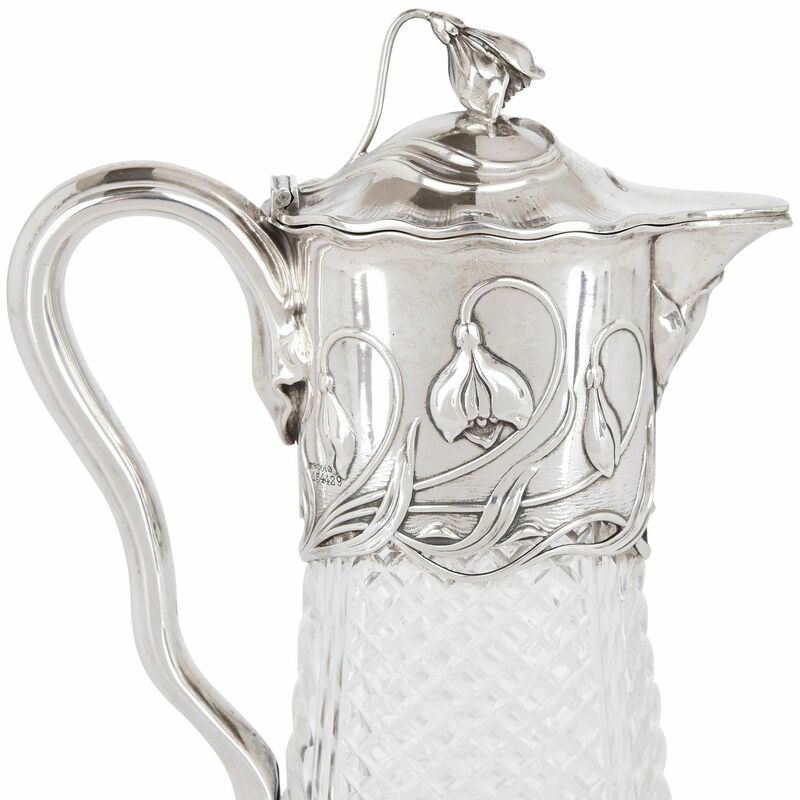 These silver mounted cut glass claret jugs feature relief depictions snowdrops with sinuous stems, which are typically Art Nouveau in their style. 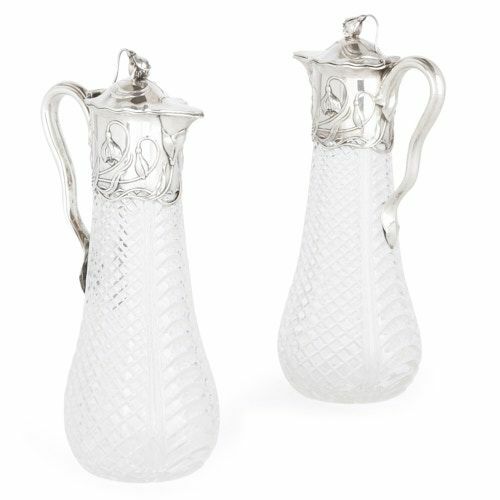 Characteristic of Art Nouveau claret jugs, these are without stems and their bodies are shaped so they are widest at their bases. 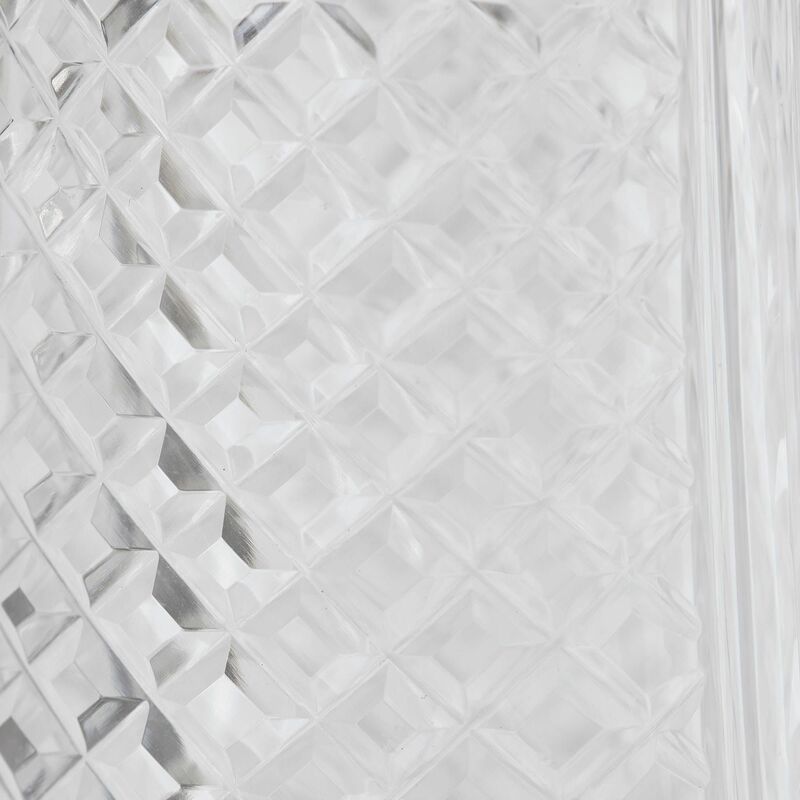 The jugs’ glass bodies are finely cut with pillar flutes and diamond patterns. They are mounted with silver necks, which are fitted with looping, serpentine silver handles. 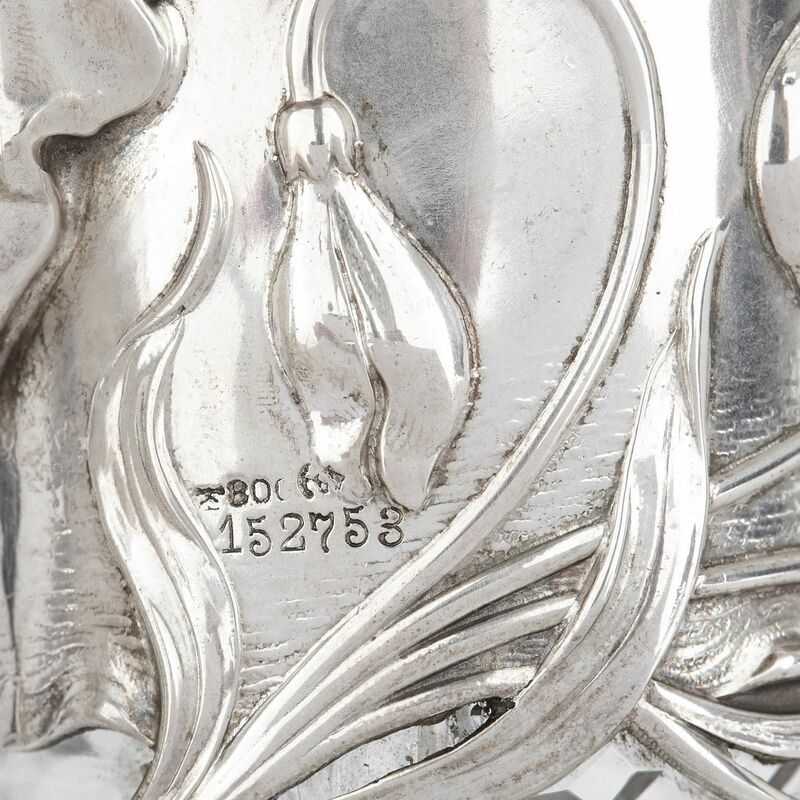 These necks are decorated with fine relief depictions of snowdrops, with winding stems. 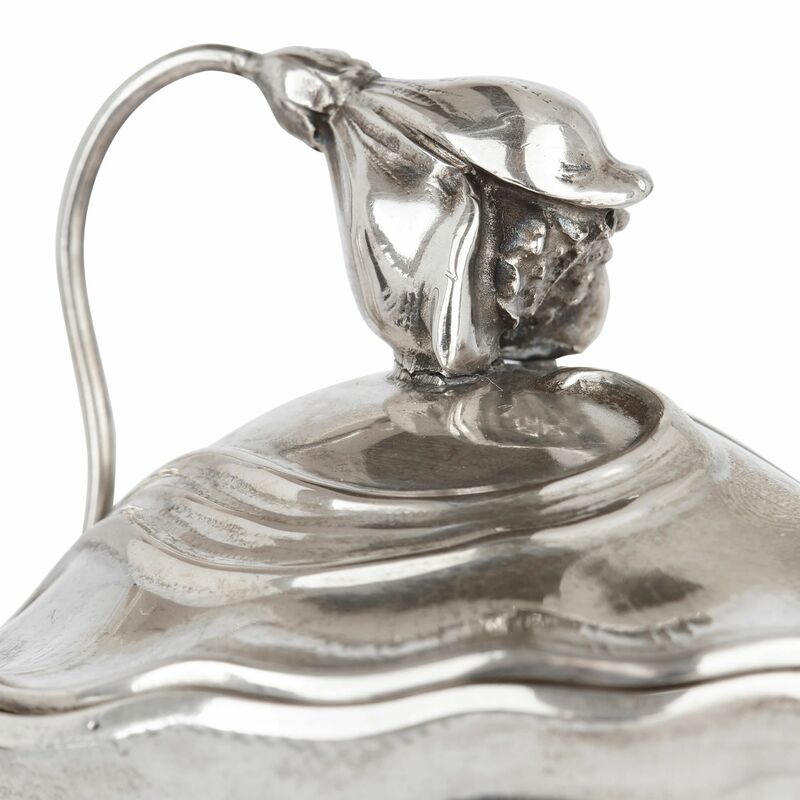 Slightly domed lids cover the jug mouths, and are crowned by delicate snowdrop finials. 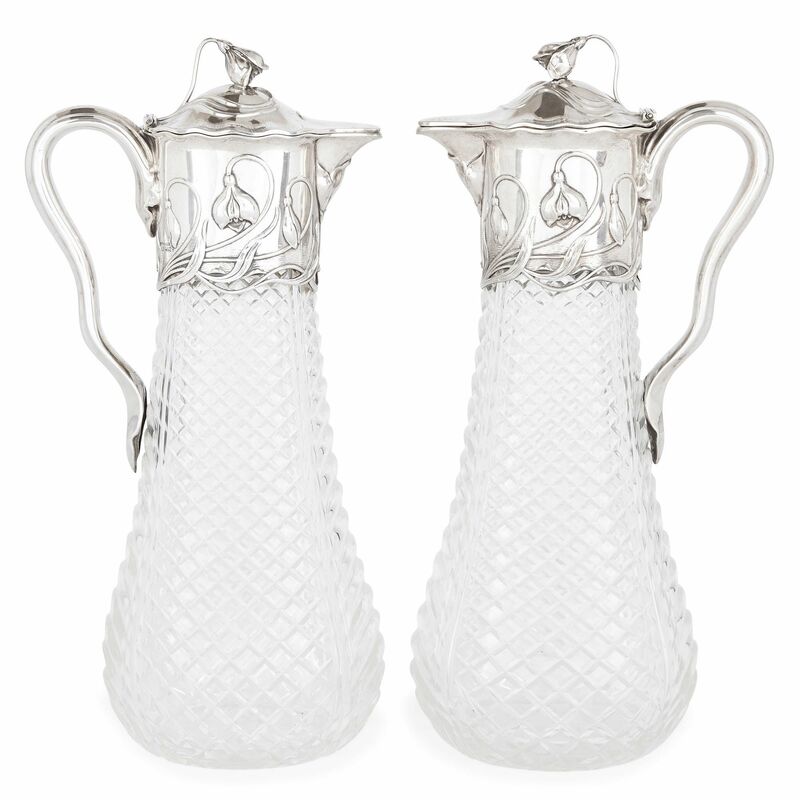 The interiors of the jugs have been gilded, creating a wonderful contrast with their silver exteriors. These jugs bear the mark of the famous German silver manufacturer, Wilhelm Binder. 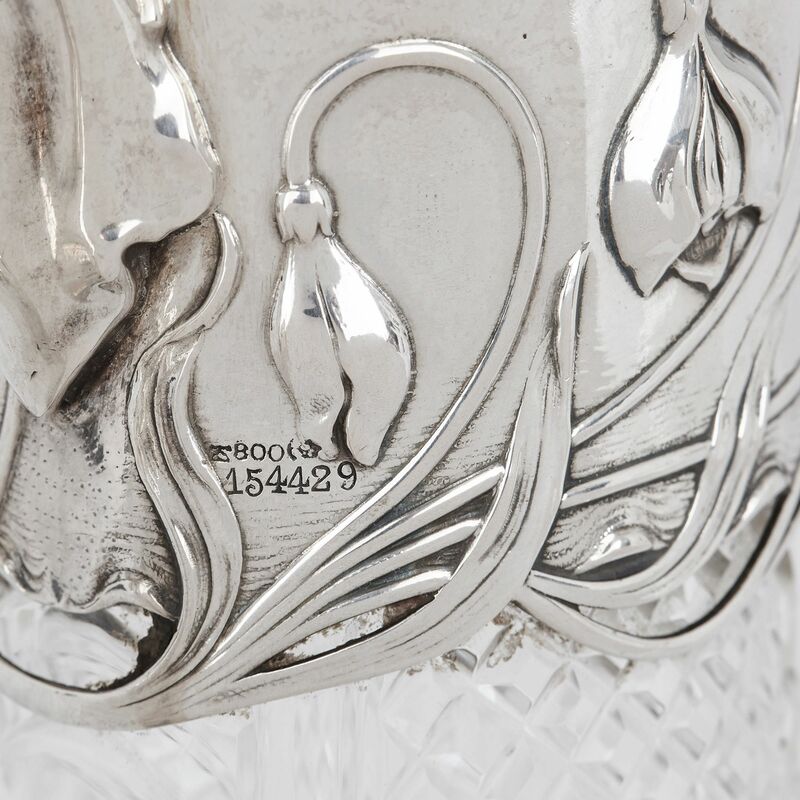 Founded in 1868 in Schwäbisch Gmünd—the centre of the silver and gold industry in Germany in the 19th-Century—Wilhelm Binder specialised in the production of high-quality Art Nouveau and Jugendstil style silverware. 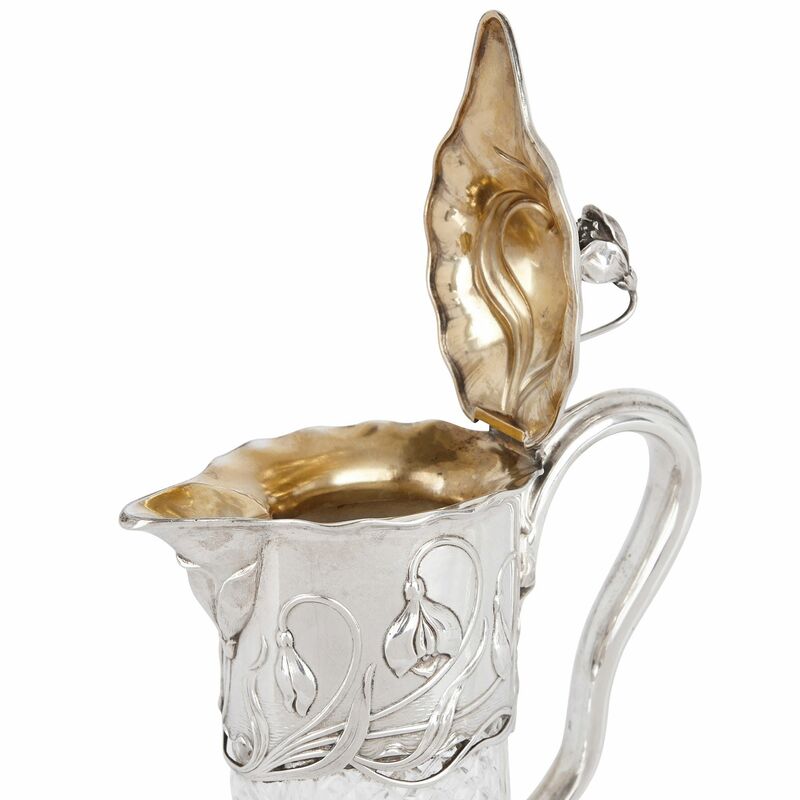 The company were known for their fashionable and well-crafted silver, which won multiple awards at art shows, including a gold medal at the 1937 Paris World Exhibition.